A slogan, an icon, and a title – have you been able to guess what my post is about? The Lincoln Motor Company founded in Dearfield, Michigan and was created by Henry Leland in 1917. Leland, who was a former manager for Cadillac, cited Lincoln as a hero he had personally voted for in 1864. Leland was also the head of a group of investors who had forced Henry Ford out of his second company, the Detroit Automobile Company – forming a bitter rivalry between the two. Photograph courtesy of the Detroit News. Originally, Lincoln Motor Company produced the Liberty L-12 , a 24 litre, 12 piston engine used in the Liberty fighter planes of World War I. After the war, the Lincoln Motor Company focused on making luxury vehicles, but went bankrupt shortly after. The company was then sold to Ford Motors in 1922, which Ford himself considered a victory over his former rival. A conspiracy-theorist might note that this is the second time that the name ‘Ford’ has appeared in the Living Lincoln project, as Ford’s is also the name of the theater in which President Lincoln was killed by John Wilkes Boothe. If this is a mere coincidence is for the reader to determine. Even if naming the company after the Great Emanicpator was Leland’s way of honoring a hero, the use of Lincolns name has come to represent much more. As the company evolved, so to did the this unique blending of history and Commercialism. One way to see this is the obvious use of Lincoln as a selling strategy. This function of utilizing a dominant memory to sell is known as “instrumentalization” in the words of Schudson . This is process where memory is put to use to facilitate the process of selling products and services. The most tangible way to understand the intrumentalization of memory and its interactions with business is to look at commercials. Since ads become incorporated into dominant memory, they can be a useful window into public perception. Take the following Lincoln ad with Matthew McConaughey. Personally, I used to hate this ad – bringing about vehement reactions whenever I saw it. However, my reaction is more of a testament to the ads effectiveness than my taste. According to one source, after this commercial was released, Lincolns sales raised 25% . Another ad from 1957 shows that the goal of the company has been to makes its name synonymous with luxury for some time. Interestingly, both of these commercials (and the parody) don’t even reference Lincoln directly. As this company’s name naturally brings in the ethos of Honest Abe, others are forced to reference him more clearly. Take the Toyota ad used here as an example. Also, you should check out this awesome explanation on the use of Honest Abe in Commercial Culture here. In addition to monetizing Lincoln’s name, the Company also serves a facilitator for memory. Motors have generally come to symbolize a spreading of fame. For instance, the train which Lincoln campaigned on has become a physical manifestation of the man’s spreading legacy. So too do the cars bearing his name reinforce his dominance in today’s society, even if what exactly is remembered changes over time. Unfortunately, the branding of cars is in many ways superficial and leads in part to a negatively ‘processual’ memory, in the words of Zelizer . That is, a brand only forces society to know a name – in this case Lincoln – without it demanding any more being known. Put another way, a foreigner would learn nothing about Uncle Abraham by reading the logo on a car. Another effect of processual memory has been to change the meaning of the name of Lincoln to, “American Luxury”. This goes to show the unpredictable nature  of memory because it is counter-intuitive to the normal characteristics associated with Lincoln. Usually, He is viewed as a tough and powerful president, a man of the frontier. The use of Lincoln as a high-end vehicle is contrary to a historians view of the President as the “Illinois Railsplitter”. It would make much more sense if Lincoln was the name for Jeeps (which has come to embody the frontier) or the name of other cheaper and more durable cars. Comparisons of Lincoln in dominant memory may also be made to Plymouth Rock. McPhee informs us that the rock, while being viewed as a longstanding landmark, had actually been moved, broken, and pieces of it are spread across the country . In a similar way, the centralized site of Lincoln’s memory is his monument at Washington DC, but like the pieces of Plymouth rock, the car is spread out over the country. In many ways, this movement keeps the history alive, forcing people all over the country to in some way confront the past. Finally, the Lincoln brand name is subconsciously powerful because of the people who have chosen to drive them. Richard Nixon, Elvis Presley, Clark Gable, President Obama – all of these powerful American figures drove (or were driven in the case of President’s) in Lincoln’s. There use of such vehicles has added to the perception of Lincoln’s as ‘classy’ or ‘high-end’ vehicles for the wealthy. 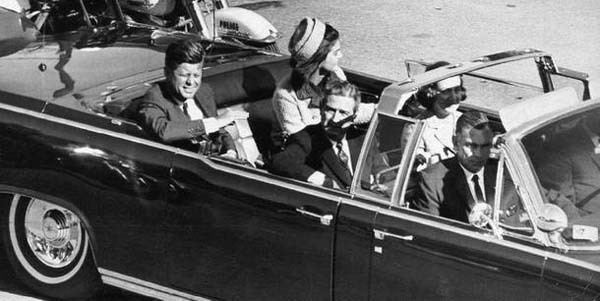 Furthermore, JFK was shot in the back of Ford Continental . Once again, I would encourage any would-be conspiracy theorists to notice that this is the second time a president was assassinated within the confines of the name “Ford”. In all these ways, the Lincoln Motor Company has served as a useful example to examine the hybridization of memory and institution. It has used the name of Lincoln to brand the car as “American Luxury” and exploited the name to make money. However, the company also serves to spread Lincoln’s fame and helps to continue his dominance as one of the most idealized president’s of American History. How Lincoln’s name will be continued to be used in the future I can’t say, but I look forward to finding out. 3) Barbie Zelizer, “Reading the Past Against the Grain: The Shape of Memory Studies,” Critical Studies in Mass Communications (June 1995): 214-39. 5) McAdams, John (2012). “Changed Motorcade Route in Dallas?”. The Kennedy Assassination. Marquette University. Retrieved 2012-11-26. 7) Herman, Barbara. “Are Matthew McConaughey’s Lincoln Ads Working? Increased MKC Sales Announced.” International Business Times. 7 Nov. 2014. Web. 17 Apr. 2015. This entry was posted in Uncategorized on April 17, 2015 by Ryan Mccarthy. I thought the link between Lincoln the president and Lincoln the car is a really interesting one that I’ve never really paid much attention to. But I have always thought of Lincoln cars as very regal and classy vehicles, which may be in part because I associate the term subconsciously with the former president. I agree with you when you say that using Lincoln is a selling strategy. I think the U.S. still reveres this former president, and using him is a subtle way of marketing products. I think the way you presented the link between the two Lincolns and how you went into some depth about the competition between Lincoln and Ford, as well as any possibly conspiracy theories was very engaging. One thing that can maybe be fixed to is make sure the YouTube link is embedded properly because it didn’t show up on my computer. However, besides that, I found your post really interesting to read. And I definitely liked how you incorporated multiple pictures into your post! My post was about a painting of Lincoln by Salvador Dali. I didn’t find many similarities between our two topics, but I do think both “continue his dominance as one of the most idealized of presidents” as you said in your last paragraph. After reading your post, I personally would like to find out more about what conspiracist theorists think is the link between Ford’s theatre and Henry Ford! I think it’s really interesting that you noted processual memory of naming a vehicle after Lincoln detracts from Lincoln as who he was and what he accomplished. I like to think that, as you noted, naming things after someone else is a way of commemorating them as a sign of respect, but you do have a good point. Whenever I think of name-brand vehicles, I rarely think of the people behind the vehicles – just the vehicles themselves and their inherent value. On the other hand, considering Lincoln was a very prominent President, I think he may be an exception to that rule (this is just my personal experience, however – the name Lincoln is “unusual” and branded enough for me to automatically think of the President when I hear it). It’s also fascinating that you connect the name of the automobile company that bought Lincoln Motor Company with the name of the theater Lincoln was assassinated in and, subsequently, the vehicle another President was later shot in. It’s definitely something worth reading about making those connections. However, I would hesitate to call it a conspiracy theory. I think that if they try hard enough, conspiracy theorists can always find some kind of strange or suspicious connection. Overall, this was a really good post. I really enjoyed reading it! I think it’s really interesting that you noted processual memory of naming a vehicle after Lincoln detracts from Lincoln as who he was and what he accomplished. I like to think that, as you noted, naming things after someone else is a way of commemorating them as a sign of respect, but you do have a good point. Whenever I think of name-brand vehicles, I rarely think of the people behind the vehicles – just the vehicles themselves and their inherent value. On the other hand, considering Lincoln was a very prominent President, I think he may be an exception to that rule (this is just my personal experience, however – the name Lincoln, to me, is “unique” and branded enough for me to automatically think of the President when I read it). I really enjoy the way that you give plenty of historical background to your piece. Your site is also very aesthetically pleasing with how the pictures are set up. However, I would encourage you to take a step deeper an analyze why you think Abraham Lincoln has morphed into an idea of “American Luxury.” He had always been a symbol of hard working America. But then again you did go into enough detail on how to care combines luxury with the name.